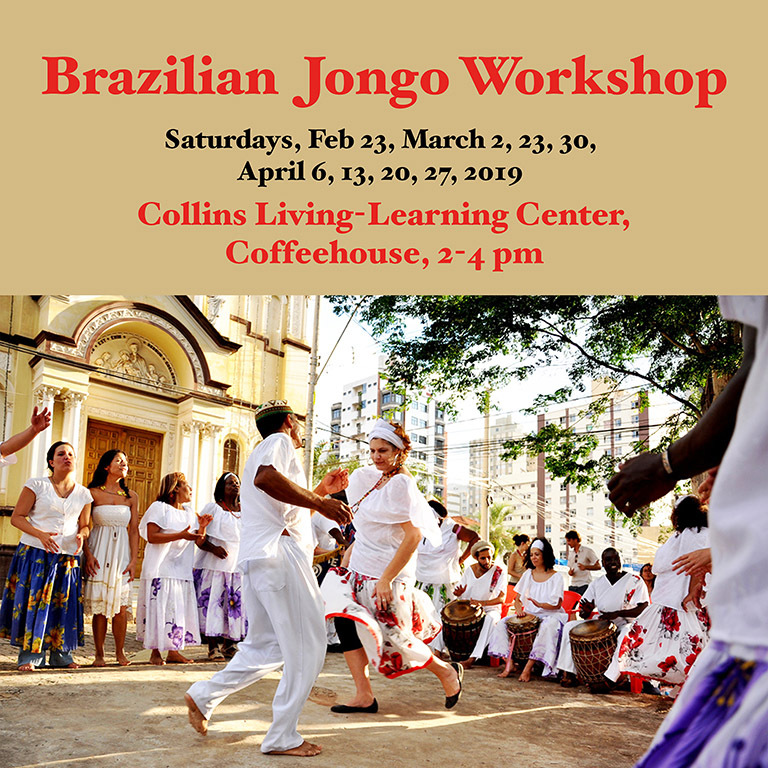 This interactive workshop will introduce you to the history and tradition of the Afro-Brazilian Jongo, and will train you in its expression through dance, drums, and song. Collins Brazilian guest and current visiting scholar at Collins, Érica Giesbrecht, will share her knowledge and expertise. Come enjoy tasty snacks at our first meeting on Feb. 23rd.